Your company is in the market for an ISP upgrade, so you ask your techs what they think. Should you stay with the tried-and-tested copper cables that have worked decently so far, or make the leap into the future, and go fiber-optic? They're only going to have one answer: go fiber. 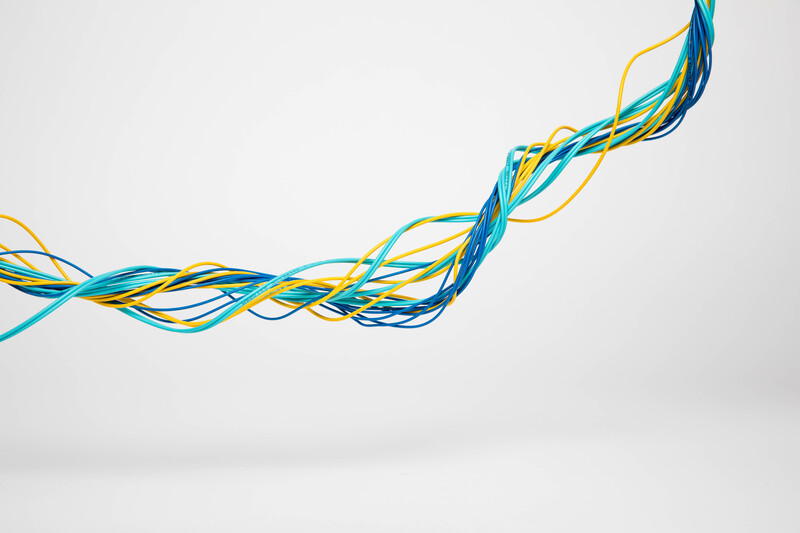 From a technical perspective as well as a business perspective, the case for switching to fiber is growing ever stronger. Using a fiber system will lead to more reliability, less down time and end up saving you money. Here’s why, and the science behind it, so you can understand their reasons for making the switch to fiber. This is the number 1 reason that fiber is winning out over copper. Bandwidth decides how much data you can receive and send. Copper is now at the point of topping out. You can get 10 Gigabit cabling, and 100 Gigabit cables are being tested, but these data rates can only be sent for very short distances — basically only for use between servers in data centers. But fiber is new technology that is constantly evolving and a hot area of research. With fiber you can transmit more data over greater distances, and if you’re preparing for fiber now, you’ll also start to see remarkable differences in the not too distant future. Already researchers have developed fiber capable of transmitting over 7,000x as fast as regular copper cabling, quick enough to download the entire Google index in under 15 seconds. Fiber uses light to carry the data along a single filament of glass. Light is pulsed at one end using a laser and these pulses are decoded at the other end using an optical receiver. The arrangement of the pulses carries the digital information. The information can be sent both ways down the fiber, with transmitters and receivers at both ends. Copper wire signals data using electric waves. The phase of the waves are modulated in sophisticated patterns to try and send as much data as possible through the continuous signal. These elaborate modulation techniques work well for low amounts of data, but once you get to higher bandwidths and greater distances, the abilities of copper start to break down. The power of the electrical signal attenuates and loses strength at higher frequencies, meaning it can’t send as much data. And because it loses signal strength, the signal has to be boosted every 100 meters for its highest data rates (one Gigabit / second). This means that repeaters have to be built into every copper system to constantly amplify the signal, and that, ultimately, the abilities of copper are limited by its low data capacity and it’s severe lack of range. Light loses much less power than an electrical signal, so fiber can send data over much greater distances. The limiting factor is only how quickly you can pulse. Fiber cables are capable of sending 100 Gbps signals for over 50 miles, over 800x as far! With multiplexing techniques — intertwining different wavelengths of light so more data can be sent along the same fiber — data rates continue to increase. At the moment, the speed of data propagation within copper and fiber cables is about the same. But whereas copper is about topped out, fiber still has a long, long way to go until its max: the speed of light. Currently, the glass in the fiber-optic cable slows down photons by about 31% (so they’re only doing a paltry 200,000,000 mph at the moment), but as researchers find new ways of developing the materials, the speed of transmission goes up. Recently, a group from the University of Southampton in the UK transferred data at 99.7% of the speed of light, achieving a transfer speed of 73.3 Tbit per second. It sounds crazy that a thin, flimsy strand of glass is stronger than a thick cord of metal, but it’s true. People presume that fiber-optics are really delicate, needing installation by specialists in white gloves, and can be destroyed by any clumsy-fingered techie thereafter. But fiber is remarkably tough. It can be pulled through buildings with more force than copper, can take a dunking in water, and is more flexible so can negotiate tricky building geography. All the while being lighter and thinner than copper, so it can be installed with more ease anywhere in your building. Due to the brunt of Superstorm Sandy on NYC and the surrounding areas, fiber is being installed along the coast as it won't corrode in the salty air of oceanside neighborhoods and will better withstand future storms. Because it's so lightweight and thin, it takes up less space, and is easier to handle. If you want to scale a copper wired system then you need more and more of bigger and bigger cabling. With an optical system, there is almost no difference in size between the diameter and weight of different size fibers, and because a smaller fiber can carry so much more data than copper cables, you need less overall. This is because of the way it’s made. The fiber-optic filaments are drawn out of a solid cylinder of highly pure silicon dioxide. The machines that make them are two stories high and almost 200 miles of fiber can be drawn out in one go. These filaments are less than the width of a human hair. Though these are still fragile, they are far more pliable than regular sheet glass. But it is the next step that makes them super tough. Each of the filaments have an individual coating to protect them, and then several of them are placed around a steel core. Then various protective layers are placed around these for strength and fireproofing, including steel sheaths and kevlar strands for tensile strength. During installation of copper cables, you aren’t supposed to pull the cable with more than 25 lbs of force. Because of all this protection, you can pull fiber with up to 200 lbs of force before it gets damaged. It’s copper that’s the dainty one in this partnership. Even with all that protection, the cables are still lightweight and thin, far smaller than copper cabling, and impressively durable. Because it’s not conducting electricity as copper wire is, it can get dunked in water just fine. It can get kinked, bent, and broken if treated too roughly, but so can copper. The bend radius (how much you can bend the wire before it gets damaged) is actually slightly higher for fiber, and just as there are researchers trying to up the speed of fiber, there are also researchers looking to make it even more bendable. Most optical fibers can be bent to a radius of about 3cm, but new fibers are available with bend radii of less than a centimeter, making them ideal to snake around the corners of an office building. A big reason to use fiber is that it provides extremely reliable data transmission. Because we live in a electromagnetic world, there are tons of signals that can interfere with the data on a copper cable. Routing copper cables in a busy office building can be a mine field. You can’t put them next to any significant power sources as the interference from these devices can leak over into the wire, degrading the signal and your data. Neither can you put too many copper wires in close proximity, as any fraying or breaks in the insulation can lead to them interfering with each other, a process known as ‘crosstalk’, where data from one wire gets mixed up with data on another, or that data can be read by others. This is known as Van Eck phreaking, and is such a problem that the NSA and NATO have written precise specifications, codename TEMPEST, to prevent it. In 2009, Brazilian E-Voting machines were compromised using Van Eck Phreaking, with hackers able to read secret votes through these side-band electronic-magnetic emissions from the machines. Copper cables can radiate their signal if not properly insulated (or if the insulation is damaged) meaning that it's possible to read your data from anywhere along the cable. All you need is a low-power antenna and any unencrypted data is available to read for anyone listening. All you have to do is shine light down it and wait for it to come back. Because we know exactly how fast light travels in glass, you can work out exactly the distance to any break. You can use the same type of tests to check for smaller kinks and abrasions all the way down the fiber. But fiber doesn’t suffer from the same problems as copper, so maintenance issues are rare. You can put multiple fiber-optics next to each other and there won’t be any interference, and you can route them wherever in your building and they’ll still work perfectly. In fact, fiber can be routed through a building near power line conduits without any degradation of the signal. This means already unlikely downtime is kept to an absolute minimum. There are also safety issues, for people and equipment (and cats), with copper cabling which are no doubt at the forefront of your tech’s mind when they are telling you to go for a fiber installation. Basically, copper conducts electricity, whether it’s in your data cable or in your power cables. Any misconfiguration of your system, or out of the blue power surge, and having everything wired together with copper suddenly becomes a serious problem. In India, a lightning strike jumped through copper cabling between buildings, destroying all the electrical equipment in both buildings and killed a cat. In North Carolina, the 911 communications network was knocked out during a storm as well, as a fork of lightning hit an antenna and tried to travel to the ground through any conducting path — including the data communication lines. Both these incidents were caused by an issue known as ground potential rise, and if you are wired to a copper network, the same thing can happen to you. When you use copper cables to connect different networks, you’re also connecting their grounding systems. This means that current can flow between one system and another. Normally, this is fine as the networks are probably in the same building and on the same grounding system anyway. But if you connect two different buildings you can have the potential for two grounding systems. All of your data is referenced to ground. Data transfer along copper cables works by pulsing electricity down the cable and translating this to binary. High voltage for 1, zero voltage for 0. If your grounding goes wrong, the zero voltage can fluctuate. This can lead to a corruption of your data. Any surge in power in one building can be transferred to the other. If lightening strikes the building next door, and you are connected to its grounding system through your copper cabling, the gigantic surge in power will not just go their ground, but also try to flow through your entire data system, frying electronics, and possibly people as it goes. Whereas copper is a conductor of electricity, glass is an insulator, meaning that electricity has a very difficult time flowing through glass fibers. In this way it actually stops any power surges being transmitted between buildings and isolates separate grounding networks, making sure your equipment, or cats, won’t fry. These are all really good technical reasons for making the switch to fiber, but there is a final reason that your IT Techs think your company should make the change — it’s going to save you money. You might not think that the cost is at the forefront of your IT Tech’s mind when when they suggest switching to fiber, but they know that in the long term, fiber is going to cost your company less. There’s also less hardware to go with the fiber-optic system. Because data can be transmitted over fiber for longer distances, you don’t need the extra power boosters, junctions, and terminals that are needed for copper cabling. Your fiber can be brought directly to your office with no need for multiple connections. Finally, fiber is the way the world is going. As there is more uptake on fiber ISPs, like Pilot, companies will start to develop around its superiority. Suddenly, everyone is downloading at 10 Gbps and any company clinging to their copper network will be left in the dust.